2018 has marked a major milestone in the incredible story of Nelson Mandela – his Centenary year. 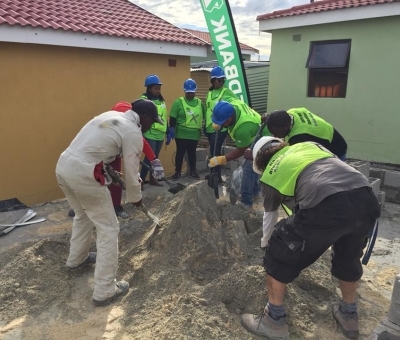 Habitat SA in partnership with the Nelson Mandela Foundation and the Department of Human Settlements honoured Tat’u Madiba’s legacy by building 70 homes across three provinces; Western Cape, Gauteng and KwaZulu Natal as part of Habitat SA’s “100 homes for 100 families in Honour of 100 Years” campaign for Nelson Mandela Day during 16-20 July. Creating shared visions for collaboration in shared projects is crucial for a successful result. 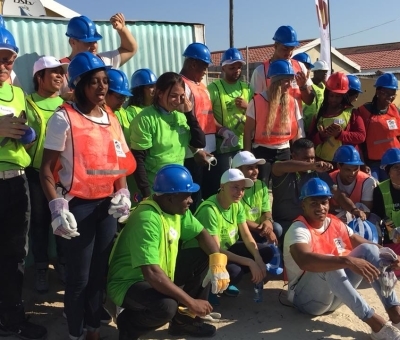 Together with the communities of Lawley, Umgababa and Mfuleni, Sbu-Leno Construction, Temi Construction, Dezzo Holdings and various corporate volunteers, we came together to provide decent housing for the families we built alongside. It was Mandela’s dream to eradicate poverty in South Africa. 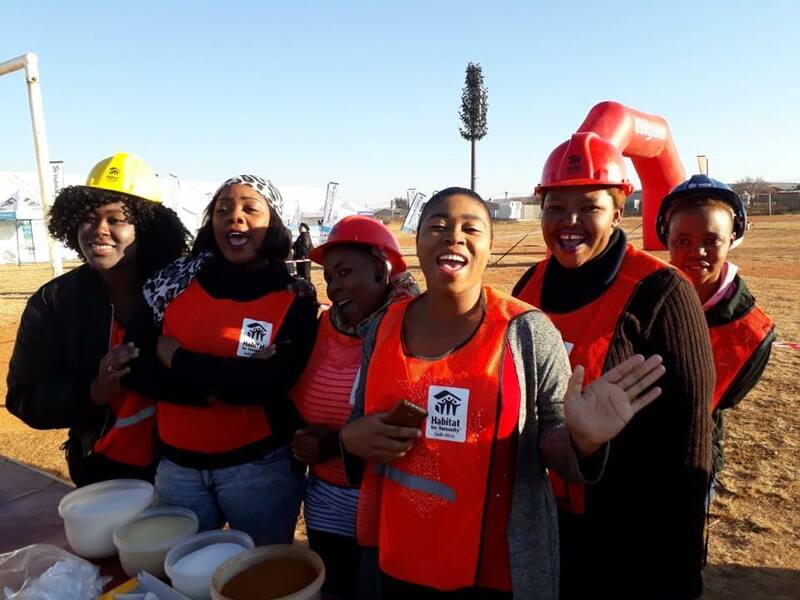 Habitat SA believes that the security of a home represents the foundation for low-income South African families to break free from their cycle of poverty. The Build event is only part of the story. What evolves after the event is the long-term impact we all hope for. 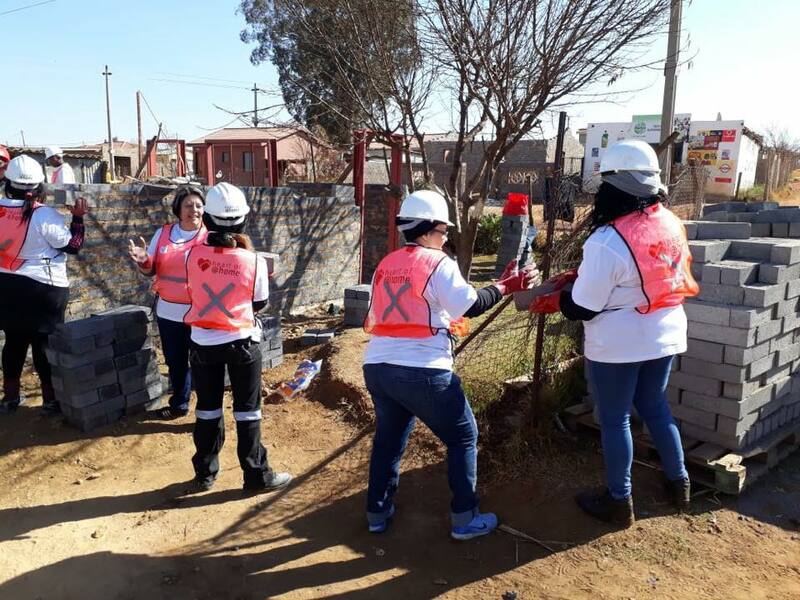 Habitat SA would like to thank all its valuable stakeholders and partners who contributed their time and resources toward such an ambitious target of 100 homes: St John Ambulance, SABC Foundation, Intastore, Habitat for Humanity Lesotho, Habitat for Humanity EMEA, Habitat for Humanity Wisconsin, Wells Fargo, Webber Wentzel, V&A Waterfront, The Rudeboy Collective, Standard Bank, Sphere Holdings, Sherwin-Williams, Samsung, Sage Foundation, Old Mutual Insure, NHBRC, Nedbank Home Loans, NCP Chlorchem, Kantar, Hoerskool DF Malan, Ecolab, ethekwini Municipality, Development Bank SA, Deutsche Bank, Delta Property Fund, Deloitte & Touche, @home, Colgate Palmolive, Cashbuild, Bloomberg, Barloworld, Aurecon, Ahmed Katrada Foundation, Cape Cobras, DHL Stormers, CT City Football Club, Springbok Training Squad, Springbok Womens Sevens, Transform Marketing and Optimize Agency. 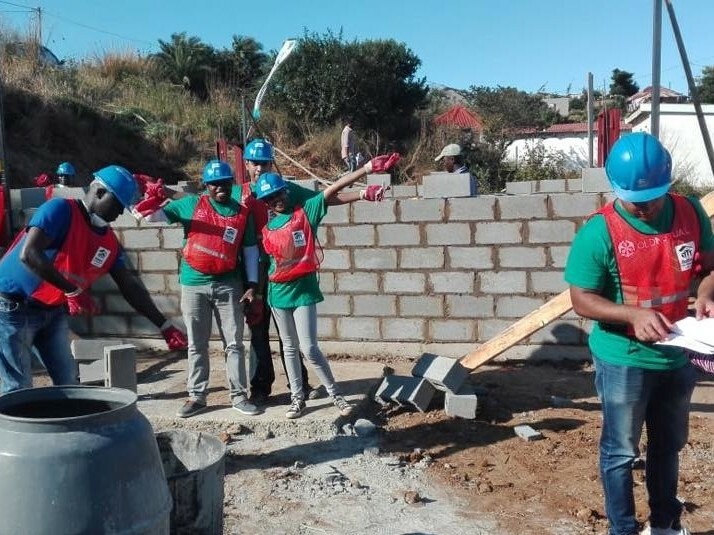 Listen to Shado Twala’s interview with Patrick Kulati, Habitat SA’s National Director, discussing the Nelson Mandela Build Event. Lawley is a township in the City of Johannesburg in the Gauteng province, it’s named for Sir Arthur Lawley, the British Lieutenant-Governor of the Transvaal from 1902 to 1906. 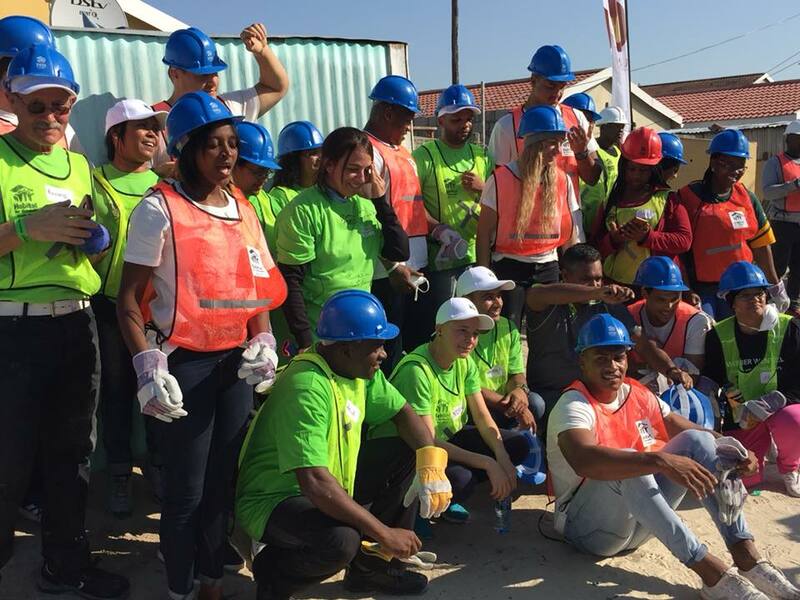 Habitat SA partnered with this community for the first time during the Nelson Mandela Day Centenary Build in July. 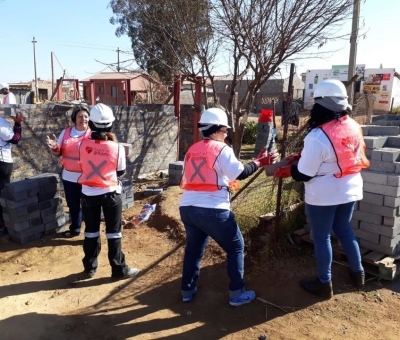 Challenges that currently face the community include poor infrastructure, ill-equipped school facilities, inconsistent service provision (power failures), leadership conflicts and a lack of skills development training for the community’s youth. 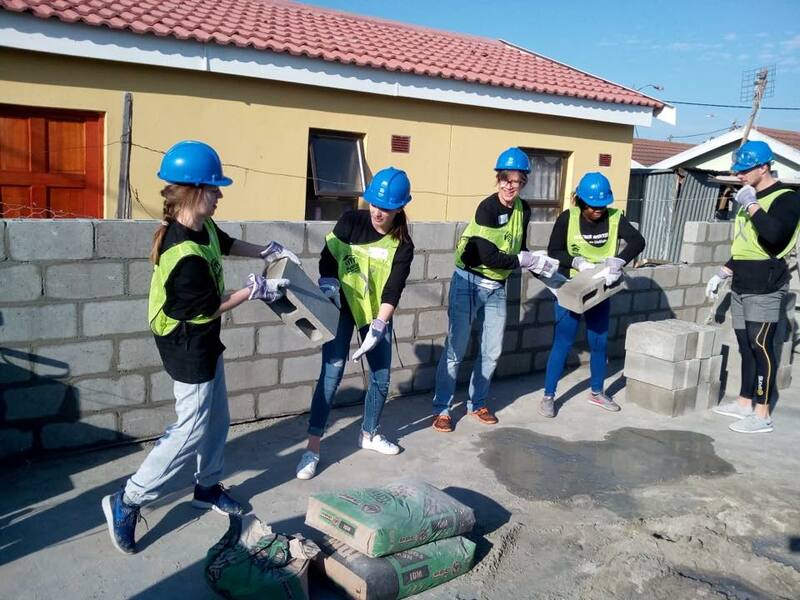 As is sometimes the situation with the dynamics of working within and alongside a dynamic community, there were a few teething problems experienced at the beginning of the Build week. 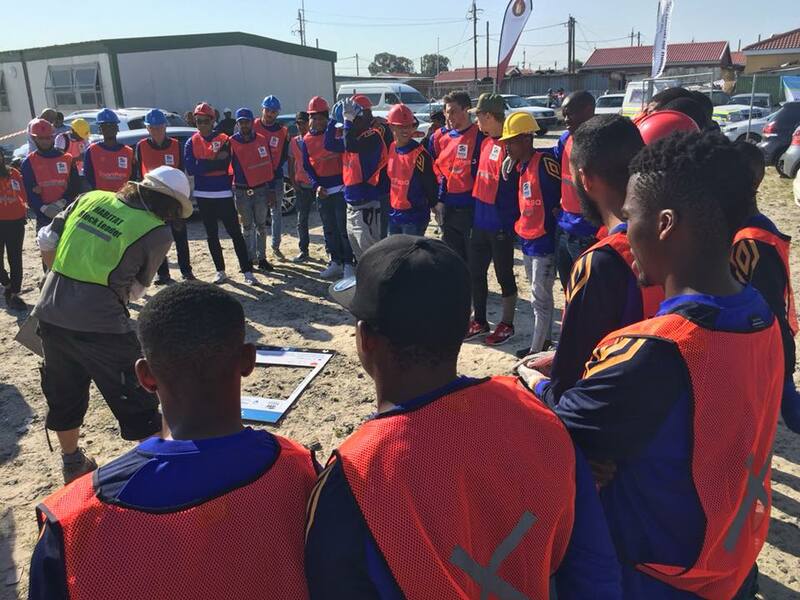 It is imperative that Habitat SA upholds a unique and excellent level of volunteer-engagement and Build experience across our calendar of events and as a result, valuable lessons have been learned and plans have been put into place to avoid similar situations arising in the future. 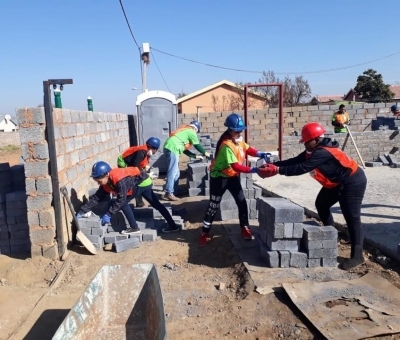 These challenges failed to dampen the spirit of the week however, as each day volunteers poured on to site to engage and build with the Lawley community – continuing the legacy that Tat’u Madiba instilled of Ubuntu (‘togetherness’). 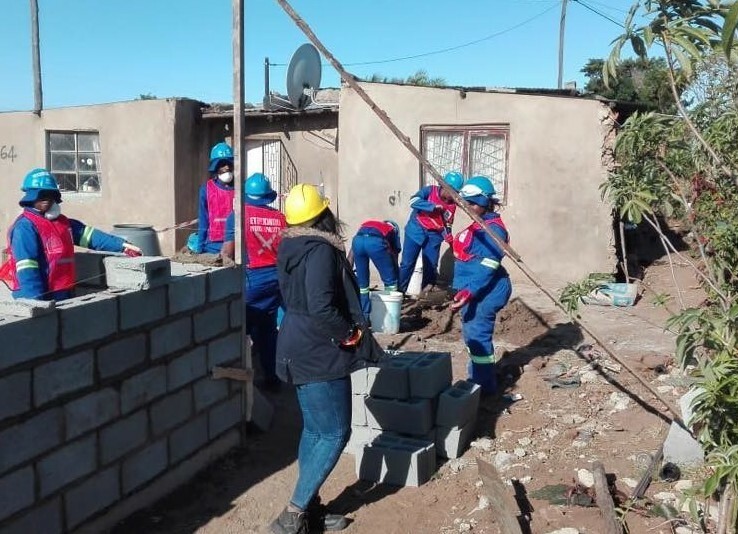 Bongiwe Ntoyi (77), lives with her 6 orphaned grandchildren; Bongani (29), Simphiwe (21), Mduduzi (18), Noluthando (11), Mduduzi (10), and Noluthando (12). 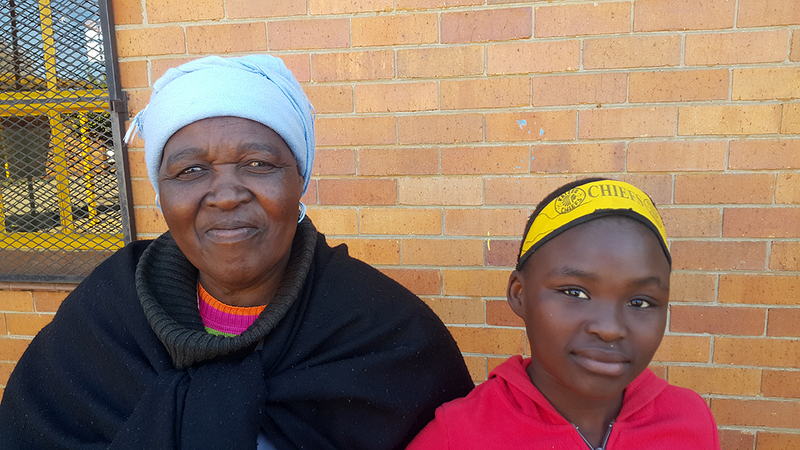 In 2007 Bongiwe relocated from Soweto, where they were renting a home. Currently, the family stays in a one room shack under very bad living conditions. The shack is not insulated and often leaks when it rains and the space is very cold in the winter. Electricity is also a persistent issue for the family as they often experience outages for days at a time, without any prior notice. This affects the day-to-day activities of the family as they are not able to charge their electrical devices and might have to go a number of weeks without a cellphone. 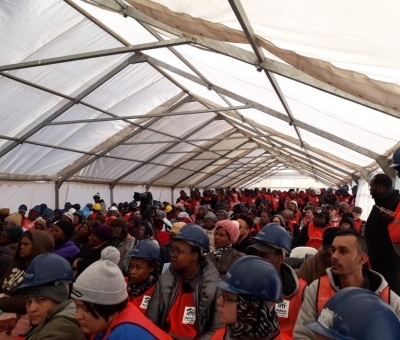 There are also very limited employment opportunities in the area and often they have to spend money for family members to travel far in search of work. 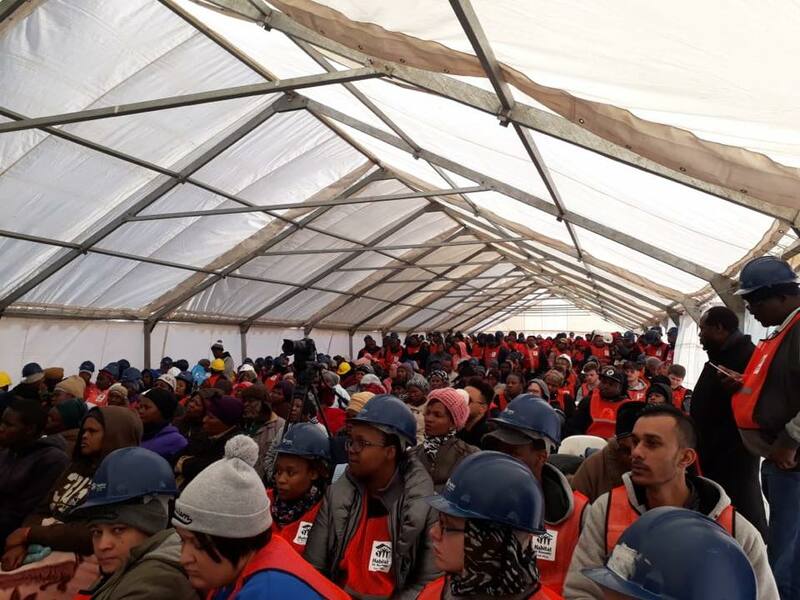 This causes a lot of frustration, says Bongiwe. Her health conditions are also deteriorating as a result of their living conditions. However, in spite of all these challenges the family still finds joy in being together and going to church together on Sundays. 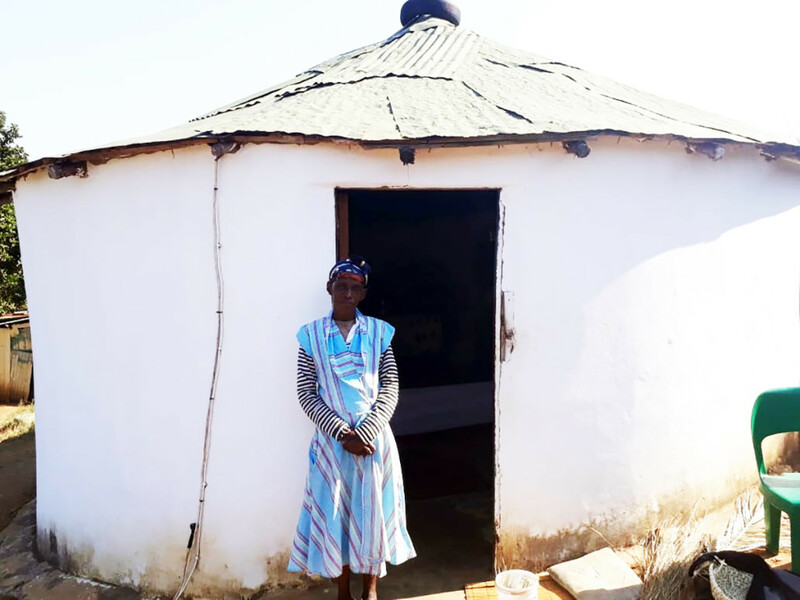 Bongiwe is happy that she is still healthy enough and able to receive her house as it has always been her dream and she believes that having a house will change their lives for the better. “I am also proud of the South Africans who celebrate the good deeds of our Icon, Nelson Mandela. 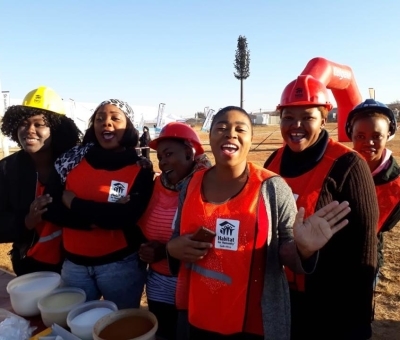 Mandela Day is a blessing to the South Africans who lives under depressing conditions,” says Bongiwe. 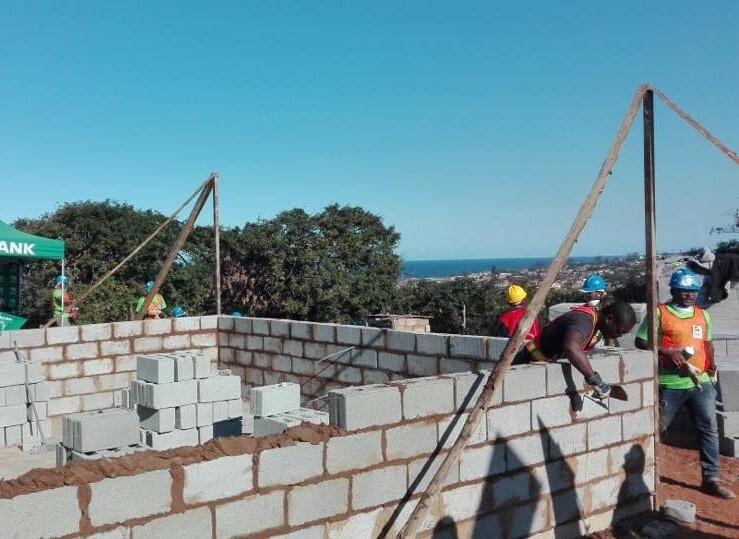 The eThekwini Special Needs Project covers wards 96, 98, 99 and 100 in the south of Durban. It is within three Amakhosi (traditional authority), Inkosi Luthuli (Mnini), Inkosi Mkhize, Inkosi Cele (Vumengazi) and Inkosi Makhanya (Sobonakhona). 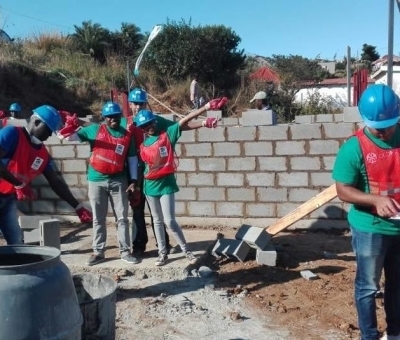 The 3-year project in partnership with Dezzo Holdings and KZN Department of Human Settlements aims to cover 1000 beneficiaries of which 107 were built between 2009 to 2012. 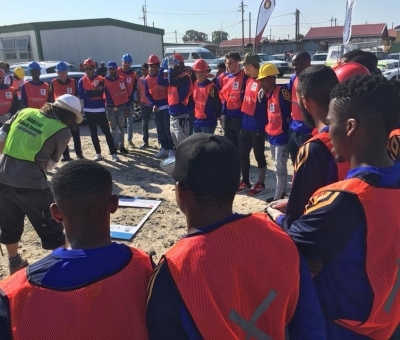 Homeowners and leadership structures have gone through intense workshops/training to capacitate them in different aspects of leadership roles and responsibilities. The project is at top structure implementation phase. 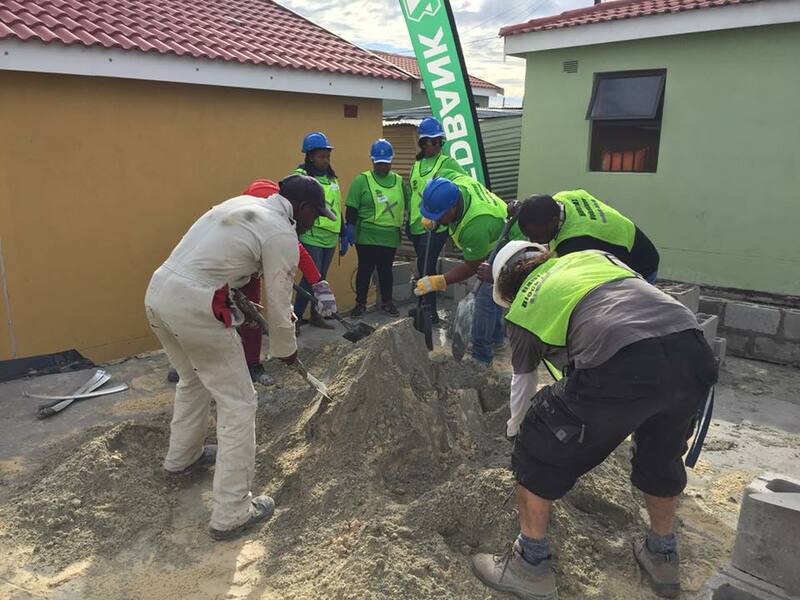 Habitat SA is the Community Resource Organisation (CRO) for the construction of the 1000 houses. 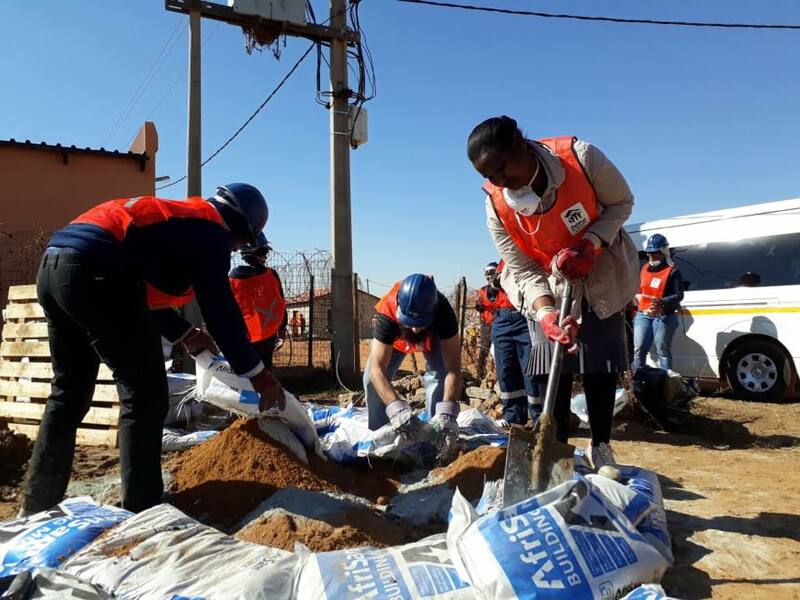 The Project will be implemented in accordance with the Enhanced PHP (ePHP) methodology and the eThekwini Expanded Public Works Programme (EPWP). 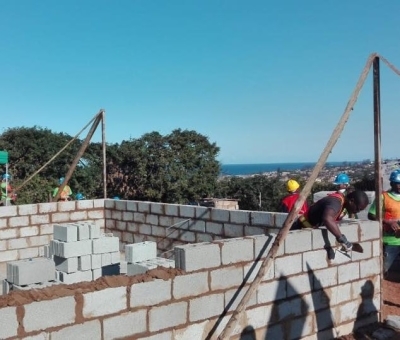 View a video of the eThekwini Special Needs Project here. 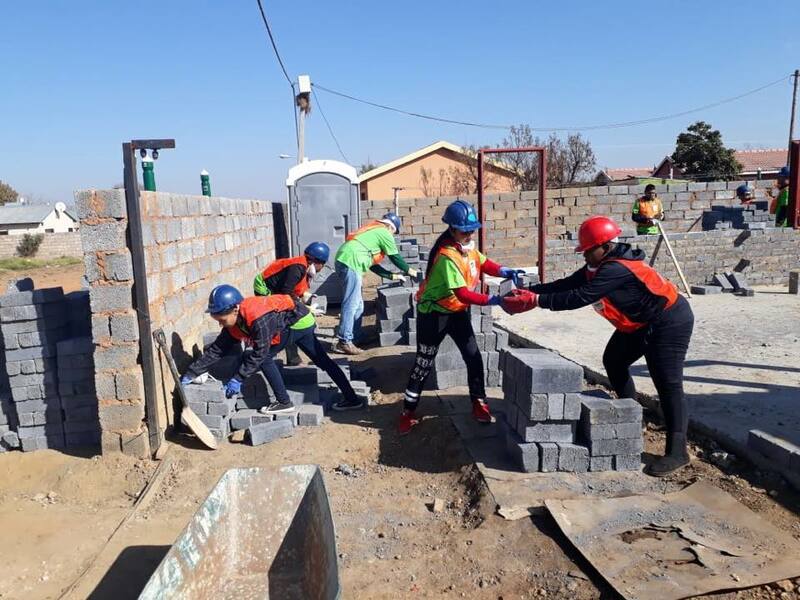 The Nelson Mandela Day Centenary Build focused on building 7 houses for 7 families in Umgababa throughout the week from 16th to 20th July 2018. Mayvis Khoza (Gogo Mayvis) was born in 1941 in Ifracom. Married to the late Sbonga Khoza who passed away in the early 80s during political unrest in the area. The Khozas had three children; Joseph, Khosi and Kenned. Khosi and Kenned passed away tragically. Joseph is the only son that is left. Gogo Mayvis stays with Bongani who is the late Kenned’s son. Bongani (16), studies at Esizibeni Secondary School and is in grade 11. “Bongani is my reason I wake up every day and look forward to life, he is a very inspiring young man. 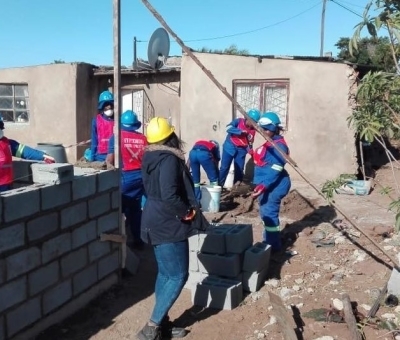 He wants to be an engineer after matric and we are hoping that he can have good results to be able to receive bursaries,” Gogo Mayvis says proudly. The family survives on an old age pension, and at times, Joseph provides here and there. The main house for the family was demolished by heavy rains in the summer of 2015. Since then, the family has had to use the room that was left by Kenned. 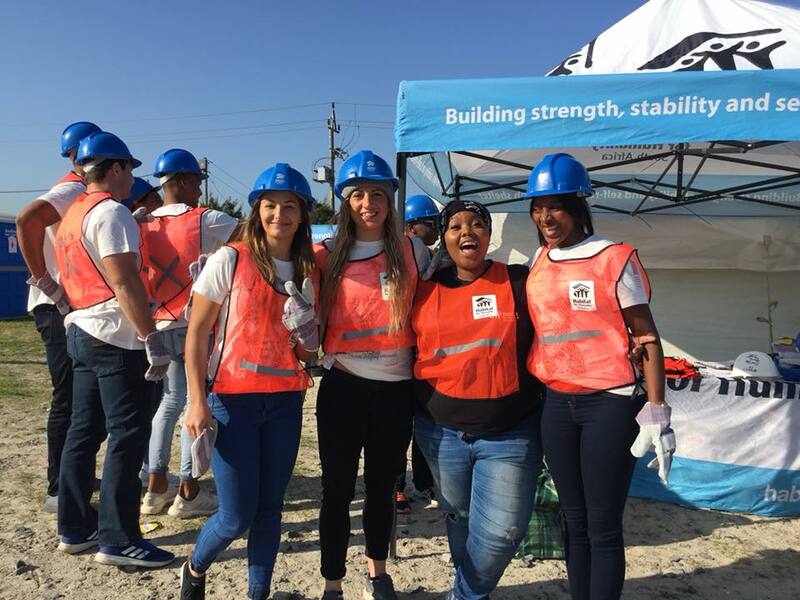 Although Mfuleni is located only 30 kilometres from Cape Town, its residents face many challenges accessing the opportunity and prosperity of the urban centre. 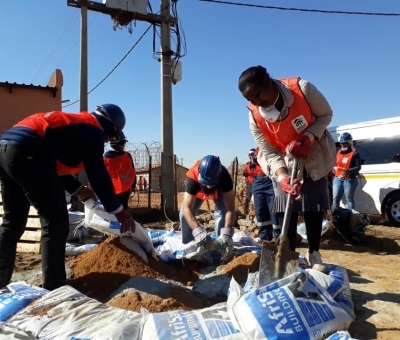 Mfuleni developed rapidly from an inflow of new inhabitants from neighbouring townships in the 1990’s, and is now home to over 20 000 households. 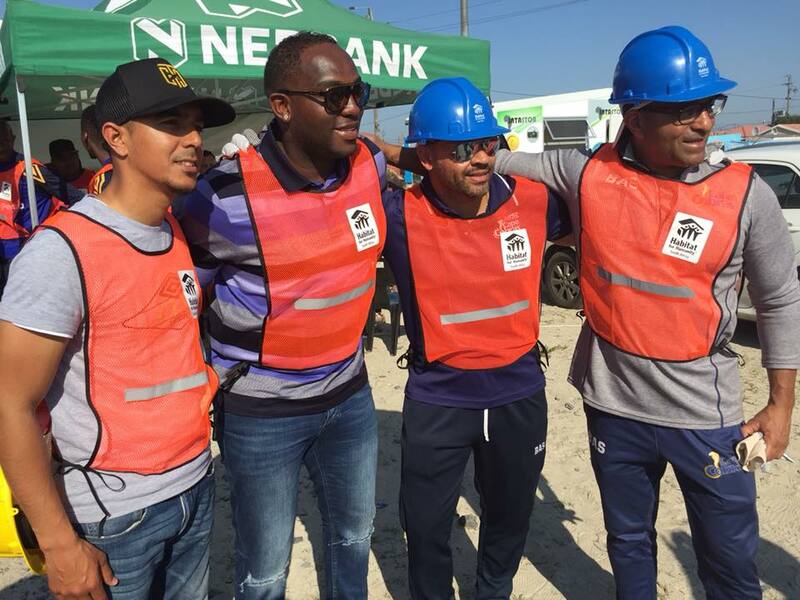 On Wednesday, 18 July, three of the Western Cape’s biggest sports teams, Western Province rugby, Cape Town City FC, and the Cape Cobras cricket team, as well as SA Rugby’s Springboks and DHL Stormers collectively rolled up their sleeves as they honoured Nelson Mandela’s legacy and assisted volunteers on the five build sites. 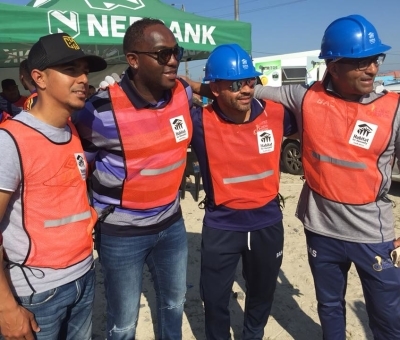 “We are humbled and proud to stand together with our fellow sports franchises, athletes and Habitat for Humanity SA to honour the values and legacy of Nelson Mandela and to contribute to making a difference in our communities. Given collective will, we all have the power to transform and make a real difference to our communities and people in need. 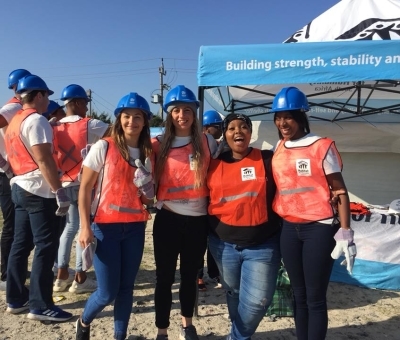 It is a privilege to give a little back today, something we as a Union will strive to do on a continuous basis in whatever way we can.” said Thelo Wakefield, President of the WPRFU. 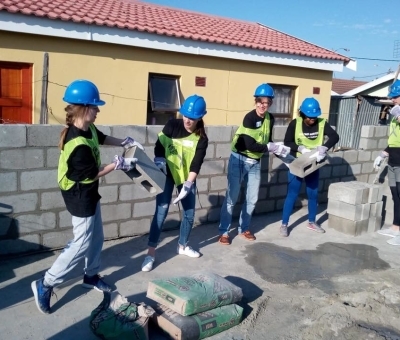 If you are interested in signing up a team for next year’s Nelson Mandela Day Build in July 2019, book here.